Say goodbye to the clutter of toys strewn across the floor by getting one of the Amish Toy Boxes and Wood Toy Boxes from Weaver Furniture Sales. 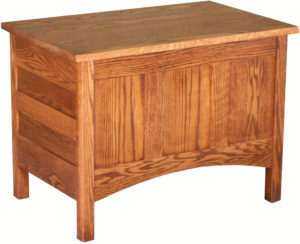 Skilled Amish artisans painstakingly craft each wooden toy box and toy chest. And they use the best regional hardwoods. All richly-finished for a timeless appeal. So your kids will enjoy the toy box’s dynamic storage space. While you will savor the eye-catching designs and durability. 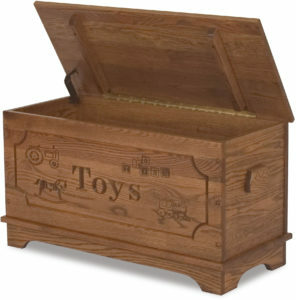 So browse our online collection of custom toy boxes. Or, visit our ‘brick and mortar’ store in Shipshewana, Indiana, and explore them in person. Toy boxes get quite a workout from kids. So it stands to reason that the more sturdy the toy box, the longer it will last. That’s why a toy box from Weaver Furniture Sales should be at the top of your list. Because skilled Amish craftsmen build each unit. And they use solid hardwoods. Plus the same attention to detail which they apply to making furniture for grownups. 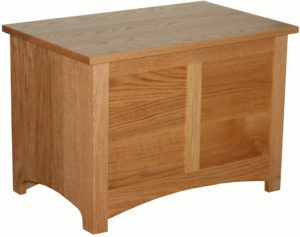 As a result, you can depend on our Amish toy boxes. In fact, we made them so sturdy, the box you choose should, with proper care, serve generations of little people.